Finished the dipole for my 4El DK7ZB Yagi for 28MHz. Last weeks from time to time i am playing around with the really nice software DV-RPTR Control Center from Kurt, DJ0ABR. I am using a Siemens C5 modified for 70cm and equipped with a DVModem for digital voice or a DVRPTR PCB with a external TRX (either FT-857D or another C5). The hardware is connected to the PC via USB and the DV-RPTR Control Center software connects it to XReflectors, Reflectors or Repeaters. It can also do callsign routing. A really nice addon is the display of some slow data that is transmitted in parallel to the voice stream. There you can usually see the name or QTH of your QSO partner. 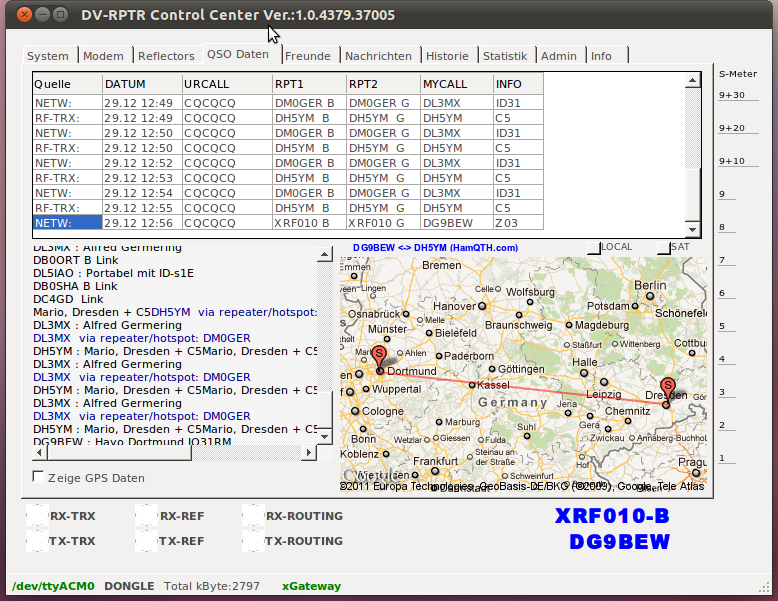 The location that is displayed by the PC software comes either from GPS (DGPS) data transmitted by the sender or from a static lookup of hamqth.com. In the future i will put some equipment that i do not use anymore to the “For Sale” page. Most of the stuff is a bit special probably but if you are interested please contact me via eMail (dh5ym@darc.de). 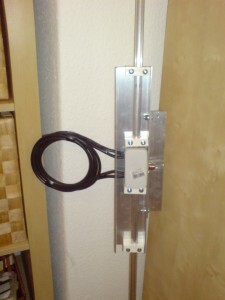 In Zukunft werde ich ab und an ungenutztes Equipment auf meiner “For Sale” Seite eintragen. Die meisten Sachen sind wohl etwas speziell, aber bei Interesse bitte ich um eine eMail an dh5ym@darc.de.